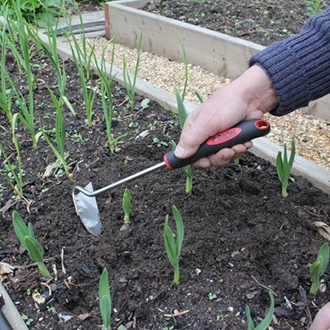 Darlac Onion Hoe is perfect for weeding and hoeing. A high quality stainless steel hand tool with a comfortable ergonomic rubber grip and a good sharp edge. Perfect for weeding and hoeing. A high quality stainless steel hand tool with a comfortable ergonomic rubber grip and a good sharp edge.